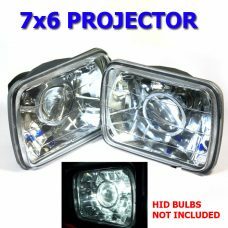 Pontiac Firebird HID Kit can be installed in minutes and give you the additional light your looking for. The Pontiac Firebird has stapled its design into automobile history as an American classic. The Pontiac Firebird discontinued production in 2002, but many models still exist on the roads today. The Pontiac Firebird is considered one of the muscle cars, and it competed against many other manufacturer cars within the same class. Later models came with flip front lights which was a favorite of many sports car owners. The Firebird’s front light bulbs can be upgraded with HID lights that provide a brighter beam giving a unique look from the front at night. Xenon gas light bulbs also give drivers better visibility.